Matt Whitaker has been acting attorney general for just one full day but he's already under extreme pressure. Within hours of his appointment on Wednesday, Congressional Democrats began calling on Whitaker, a Trump loyalist, to recuse himself from overseeing the Mueller investigation because of comments about the Mueller probe that Whitaker made last year before he became Sessions' chief of staff. Whitaker wrote last year that the Mueller investigation was dangerously close to becoming a "witch hunt," and during a TV appearance reportedly imagined a scenario in which the "attorney general doesn't fire Bob Mueller, but he just reduces his budget to so low that his investigation grinds to almost a halt." The N.Y. Times fronts a story by Charlie Savage, "At Justice Dept., A Boss Who Held Courts in Disdain": Whitaker "once espoused the view that the courts 'are supposed to be the inferior branch' and criticized the Supreme Court’s power to review legislative and executive acts and declare them unconstitutional." A new problem emerged yesterday. Prominent attorneys Neal Katyal and George Conway wrote a New York Times op-ed in which they argue Trump's appointment of Whitaker is illegal because the Constitution dictates that anyone serving in a "principal role" must be confirmed by the Senate. “Conway and Katyal raise valid constitutional concerns," said John B. Bellinger III, a partner at Arnold & Porter, who previously served as a senior White House lawyer and as the State Department Legal Adviser in the George W. Bush Administration." "The problem is not only that Mr. Whitaker does not already hold a Senate-confirmed position, it's not even clear that he qualifies as an Executive branch 'officer' who may be asked by the President to assume the duties of Acting Attorney General because he was not an 'officer' exercising significant authority in his position as Chief of Staff." "In addition to politicizing the Department of Justice, the President is running a serious risk that any formal actions taken by Mr. Whitaker could be subject to legal challenge and declared invalid." "It would have been less controversial," Bellinger told Axios, "and less legally risky if the President had named the Deputy Attorney General, or Solicitor General, or an Assistant Attorney General as Acting Attorney General." Justice Department spokeswoman Sarah Isgur Flores emailed: "The VRA [Vacancies Reform Act] was passed in 1998 and Acting Attorney General Whitaker's appointment was made pursuant to the procedures approved by Congress." 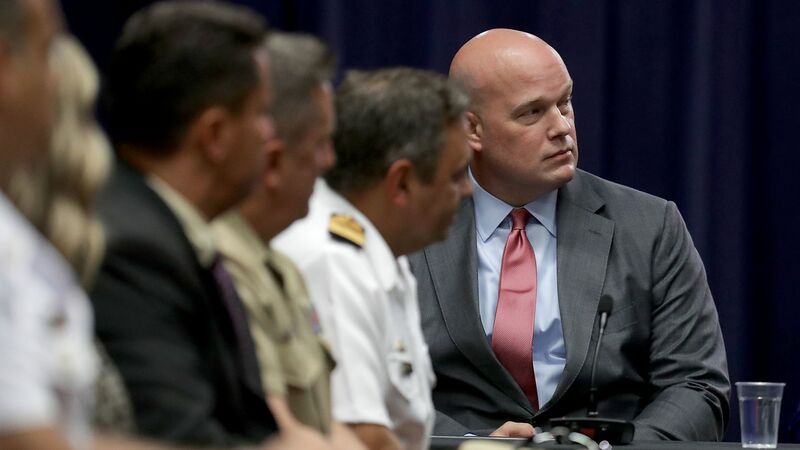 Be smart: Trump likes and trusts Whitaker, and a source close to the president told Axios he could easily imagine Trump appointing Whitaker as Sessions' permanent replacement. But Whitaker's path to Senate confirmation is filled with obstacles.